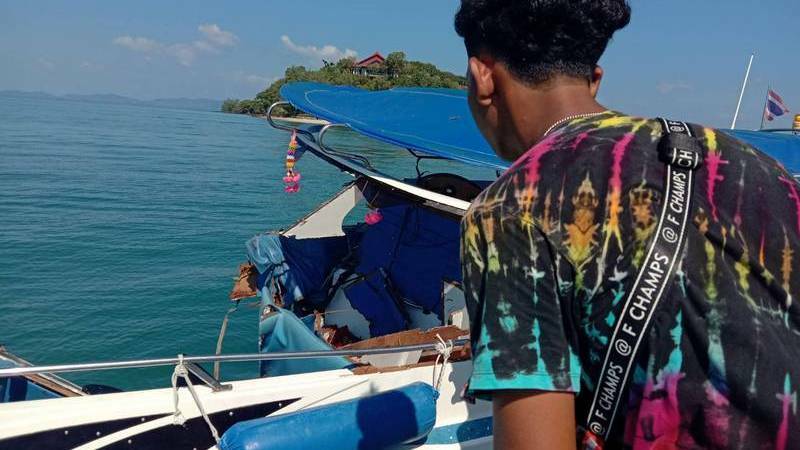 PHUKET:-- The captain of the tour speedboat that slammed into an oil tanker off Phuket’s east coast while returning from Phi Phi Island on Saturday (Feb 9) faces a criminal charge of recklessness causing injury – and will have his boat operator’s licence suspended and the speedboat itself temporarily de-registered. So what's next for the captain, driving speed vans? He sure has the requirements, the same lack of skills and safety awareness. 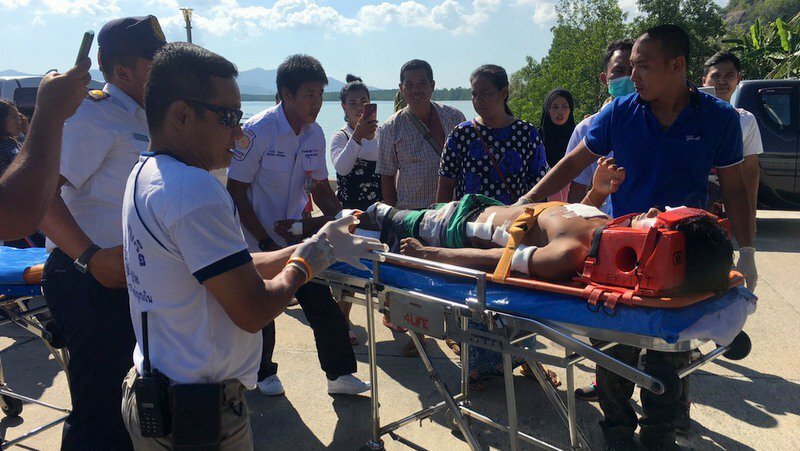 "“Therefore, after Mr Apichat’s health has improved, we will suspend his boat operator’s license. We have yet to decide how long the suspension will be, but the maximum is two years,” Mr Wiwat said. The boat Sainam itself has also been temporarily de-registered, making it illegal to use until his office restores its status, Mr Wiwat noted." So if he killed, say, twenty people through negligence, his boat operator's licence could be suspended for no more than two years. I see, the same as it is illegal to drive without a licence or insurance. Right. I bet he'll be quaking in his boots when his health allows. Could not see oil tanker? Brake failure? Or did the oil tanker suddenly veer of course? This Klapton should never be allowed in control of any passenger craft ever again ! OK, I understand why the captain's licence was suspended. Why punish the boat? What did the boat do wrong? Last time I looked, boats couldn't think or make decisions. this is like punishing a rock because someone threw it at someone. The use of the word "Captain" to describe these T-shirt clad speedboat operators is an insult to anyone who has taken any sort of serious training regarding handling vessels from yachts to supertankers. The same sort of mentality as motorbike racers. I doubt any of them have any concept of Marine rules and regulations. Just the concept that the boat goes fast. The garland shown in the picture didn't seem to do what it was supposed to do. Obviously a fake garland. I see a van crashed and hurt some Chinese, not seen anything about the outcome of that incident. Maybe the van people are better connected? Or maybe the van is in prison. Pretty piss-poor boat "Captain" if he couldn't avoid an oil tanker in a speed boat...although titles like this or "Engineer" etc. are very lightly thrown around these days here.